Dell has announced Project Sputnik, a 6 month research effort to explore the possibility of creating an open source laptop targeted directly at developers. 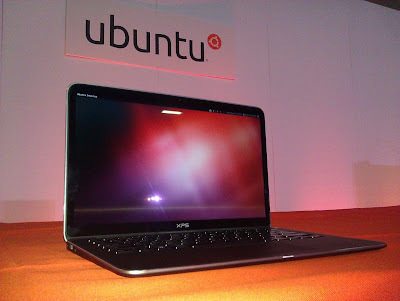 It is based on Ubuntu 12.04 and Dell XPS13 laptop. To put it in context, Sputnik is part of an effort by Dell to better understand and serve the needs of developers in Web companies. We want to finds ways to make the developer experience as powerful and simple as possible. And what better way to do that than beginning with a laptop that is both highly mobile and extremely stylish, running the 12.04 LTS release of Ubuntu Linux. More information on Project Sputnik can be found here. If you already have Dell XPS13, a customized Ubuntu 12.04 image for Project Sputnik can be downloaded from here. Please note that at the moment this image is not officially supported and it is available for demo purposes only.